We cover many aspects of interior decorating. Perhaps you just need one door painted. No problem, get in touch. Or would you like your entire house painted? We provide free, no obligation quotes. New build houses are often finished with cheap paints that do not last. You could have your new home decorated using good quality paints with a colour scheme of your choice. If you would like a large exterior project carried out please get in touch any time of the year. It is often necessary to plan ahead with the weather. Large exteriors are usually booked in from April to October. We can carry out projects such as garage doors or a window sill to a complete exterior. We arrange scaffolding from a local reliable firm where there is extensive work at first floor level and above. Many customers like to keep wooden window frames in character properties. Often these can be repaired with Repair Care resin which can be more cost effective than employing a carpenter. Where extensive repairs are needed we can appoint local quality carpenters to splice in or replace timber prior to decorating. We also treat fences and sheds. We paint offices, rental properties, salons, care homes, swimming pools, hotels, shops, community centres and other commercial premises. Get in touch to discuss the options. Any work can be carried out at a convenient time so that it will not interfere with your usual business hours. Maybe you have some damage from a leak, smoke damage or a flood. Often your home insurance will cover the costs of re-decorating the affected areas. A quote can be sent direct to your insurer. 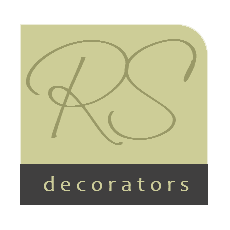 We offer a furniture painting service and also hand paint kitchen cupboards that may have become worn or dated. We offer a spraying service. Where possible we will spray interior woodwork. Of course if you prefer surfaces can have a brushed finish. Spraying is also very useful for furniture and intricate items such as louvre doors, radiator covers etc. In some cases spraying can be used for exterior work, for example garage doors, sheds and fences. We often work in conjunction with other quality, reliable sub contractors, when other trades are required. For example perhaps you need some plastering or carpentry completed before decorating. Get in touch to discuss your requirements. A lot of the time decorating may seem straightforward, and sometimes it is. However there are a lot of products and tools available to make the job easier. Certain paints may not be directly compatible with existing coatings for example. There are specific products to cope with specific types of stains. If you would like advice for a project please get in touch. If for any reason you are not able to move furniture prior to any work we can usually arrange this for you.